Among the items regularly used in your home and office are your locks and keys. With this, they wear and tear after some time, making them prone and vulnerable to breakage. Similarly, if they are not used all the time, rust tends to build up on them and at times, they freeze or get stuck. Of course, there’s always the option of letting them be until they actually fail to function. However, if you want a life with lesser hassle, you might want to consider lock and key replacement. Being locked out of your own home, car or office is not particularly a fun experience, especially when you have something that needs to be taken care of immediately. 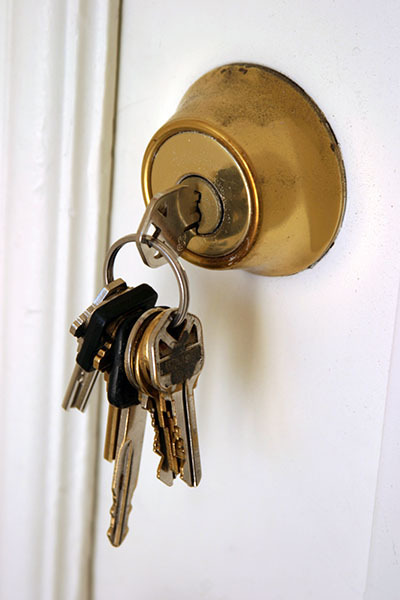 But if you are still not yet up for key and lock replacement, try to at least do some maintenance measures on them. Here’s how. One of the most common issues people have with metal items is the buildup of rust. This is also true when it come keys and locks. Fortunately for you, there is one simple remedy to get rid of it. Get a few droplets of coconut oil and pour the same on a lock that has caught rust. Leave it for a short period of time then wipe it away using muslin cloth. After doing this, you will find that it is easier to open than before. To prevent rust buildup, specifically those seldom used keys and locks, one of the things that you should do is opening and closing it at least once a week. Also, avoid keeping them in moisture prone places. If inevitable, make sure that you take the time to wipe away any visible and reachable moisture so it won’t encourage rust development in the future. As for keys, the coconut oil remedy is also applicable. If this is not available, you can clean your keys using hot water. Wash them with it once a week at least. Be sure to completely wipe off the water when done. If there is already rust buildup, you can use dish soap or a combination of salt and lemon to scrub it off. On your own, you can do something to improve the security in your home. If and when your lock and key issues get too complicated for you, feel free to call our locksmith services company for assistance and information.